This is a ceramic tile floor that has been robbed of its luster due to layers of dirt sitting on the floor’s surface. 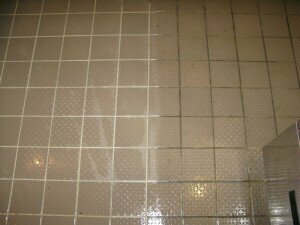 Tile and grout cleaning is performed with our pressure washing equipment that picks up dirt and grime that everyday household cleaning tools cannot. This state of the art pressure washing technique removes the trapped dirt on your ceramic tile floor and grout, leaving no mess or over spray. 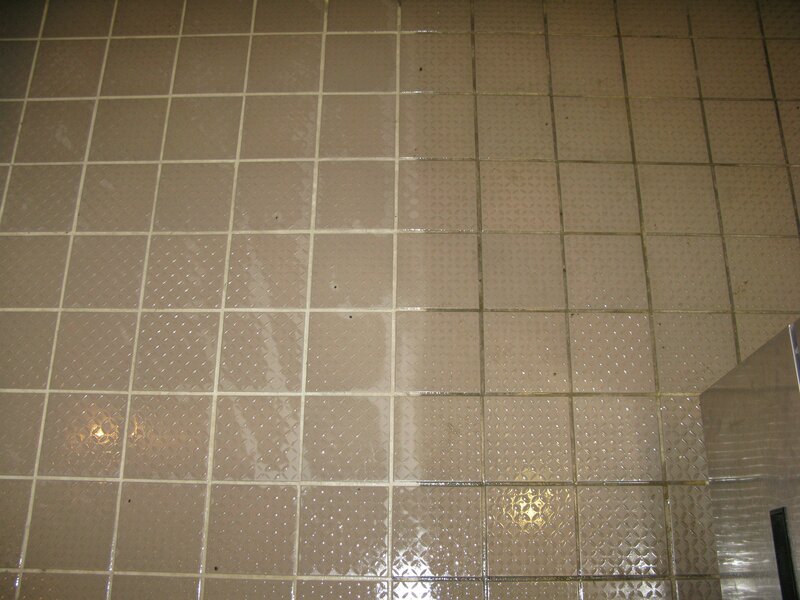 Grout and tile cleaning is a non-restoration maintenance that can leave your ceramic tile looking better than ever.